Dawn Kofie appreciates Laure Berthaud, Spiral‘s “feminist anti-hero” who isn’t afraid to bend the rules, but is disappointed by the predictability of some of the character’s personal choices. A long running murder investigation. Check. A tenacious female lead. Check. Subtitles. Check. A European setting. Check. On the face of it, there are more than a few similarities between the dark, complex French cop drama, Spiral and the immensely popular police procedural The Killing. (The former has also been likened to The Wire, probably because of its grim setting and the fact that it criticises corruption and draws links between social deprivation and crime. But if you’re being really picky, it’s not an accurate comparison, as this Paris-based crime drama doesn’t have The Wire‘s ambition or scope.) Unlike its Scandinavian counterpart, Spiral has a more socially skilled and much less intense main character in Chief Inspector Laure Berthaud (Caroline Proust) and decent doses of natural daylight, teamwork and camaraderie. It also has no distinctive, itchy-looking knitwear. Unfortunately Spiral hasn’t garnered quite the same amount of column inches as Ms Lund and her colleagues, which is a shame because it’s every bit as well-constructed and engaging. Gritty is a label lazily slapped on anything crime-based, has an urban backdrop and isn’t Midsomer Murders. However, in the case of Spiral — the fifth season of which was recently shown as a run of double bills over six Saturday nights on BBC4 — it is an appropriate description. It’s a downbeat, profanity-laden look at the City of Love’s less salubrious and more disturbing side. The focus is on detectives, lawyers and judges’ work, but the show also manages to cast a cynical eye over the structures and political machinations of the judiciary. As you’d expect, this is a byzantine bureaucracy in which everyone knows their place and the key players scratch each other’s backs, score points and protect the status quo in an effort to advance their careers. 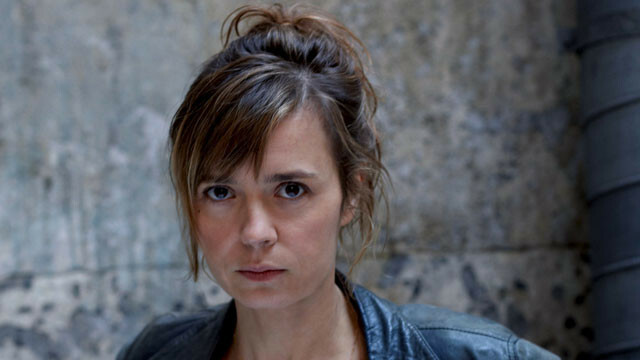 The case which provides the show’s focal point is the investigation of the double murder of a mother, Sandrine Jaulin (Susan Lay), and her daughter, Lucie, whose bodies are found in a canal. Initially, Sandrine’s unpredictable and truculent husband is the prime suspect. But what at first seems like a straightforward example of spousal homicide, becomes much less clear as the episodes progress. Head and shoulders shot of a serious Laure Berthaud standing in front of a wall, looking straight at the camera. She wears a leather jacket and her hair is casually pinned up.